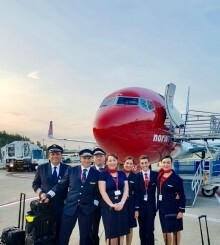 Norwegian today announced it will launch flights from three cities in the United States – Los Angeles, New York City/Newark and Oakland – to Rome, Italy, from November. Rome will be the airline’s seventh long-haul European destination served from the U.S. following Barcelona, which will launch this June; Paris; London; and the three Scandinavian capitals of Copenhagen, Oslo and Stockholm. 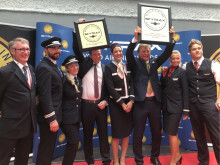 Norwegian Reward, the loyalty program of the Norwegian Air, won Program of the Year and Norwegian Reward Visa was named Best Loyalty Credit Card last night at the 2017 Freddie Awards. 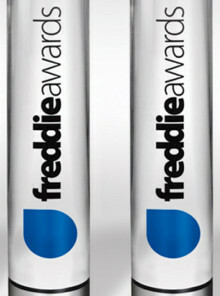 The program was also the runner-up in the Best Redemption Ability category, and one of four nominees in the Best Promotion, Best Elite Program and Best Customer Service categories. Norwegian today reported its first quarter results for 2017 with a result of -1.5 billion Norwegian kroner (-$174 million). Despite strong passenger growth, higher fuel costs, tough competition and a stronger NOK contributed to the negative result. This year’s Easter led to a shift of income over to April, as last year’s Easter was in March. 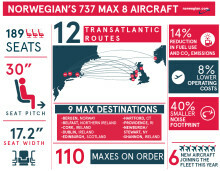 The company launched 39 new routes this quarter. Norwegian CEO and Founder Bjørn Kjos last night received an ‘Outstanding Contribution to Aviation’ award from the Irish aviation industry, calling the accolade a “true honor” and dedicating it to the huge support Norwegian has received across Ireland in recent years.